Staff members at every Illinois nursing home are required to follow procedures and protocols to minimize the spread of infection throughout the facility. This includes taking special precautions to avoid cross-contamination when providing care to every patient. Unfortunately, many nursing facilities fail to provide adequate supervision, training, and monitoring of the nursing staff to ensure they follow established policies. As a result, patients are often exposed to preventable infections and exposure to contaminants, viruses, and bacteria. 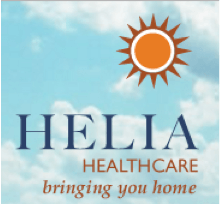 Rosenfeld Injury Lawyers LLC represent nursing home residents who have suffered needlessly from exposure to infections while residing in Illinois skilled nursing homes like Helia Healthcare of Olney. In addition to providing skilled nursing services, the facility also offers cutting edge rehabilitation services, long-term care, amputation care, fracture care, advanced respiratory services, IV therapy care, pain management, post-operative wound care, tracheostomy care, enteral nutrition and advanced wound care. Comprehensive research results can be obtained through the federal government/Illinois Medicare.gov nursing home database that details every filed complaint, safety concern, health violation and opened investigation. Many families use this data to determine the level of medical, health and hygiene care nursing homes in their community provide their residents. When the state investigator asked the registered nurse what does she do with the Wound Cleanser the RN replied: “the Wound Cleanser was a stock cleanser and will be placed back into the Treatment Cart.” At that time, the Wound Care Nurse/LPN informed the Registered Nurse “that the wound cleanser could not go back into the Treatment Cart due to cross-contamination. If your loved one is suffering from abuse, neglect or mistreatment as a resident at Helia Healthcare of Olney, Rosenfeld Injury Lawyers LLC can help. Our seasoned and knowledgeable Illinois nursing home attorneys can assist you and your family in successfully resolving your financial compensation claim against the nursing facility, Administrator and/or nursing staff that caused your loved one harm. We encourage you to contact our Richland County elder abuse law office today by calling (888) 424-5757 to schedule your appointment for a full case review. Our law firm does not require any upfront payment because we accept all nursing home neglect/abuse cases through contingency fee agreements. All information you share with our law offices concerning the mistreatment and neglect of your loved one remains confidential.